How good is Pisces at keeping secrets?  Can You Confide In Pisces? Find Out Below! You are secret-keeping guru, Pisces, especially when it comes to your own life. People around may be completely unaware of whole aspects of it for as long as you want them to stay unaware. You are quite good at honoring others’ secrets as well. Your only problem with secrets is that secrets are mostly stories that can teach one a lesson. And when a friend asks for your advice and relates a story that is very similar to a secret you are already keeping, you may involuntarily use it as an educational aid. You can still do it but remember to anonymize the story so that no detail of it will incriminate the person who initially told it to you.